A house is one of the basic important needs for humans. According to Universal Declaration of Human Rights (UDHR), Article 17, “Everyone has the right to own property alone as well as in association with others.” Affordable housing is housing that balance with the average household income and as the rule of thumb, housing is considered affordable if the costs is less than 30% of gross household income. The increasing in housing prices cause imbalance between housing affordability and household income which has becomes the dilemmas for the young starters to buy their first house. Malaysian government has introduced several affordable housing policies to facilitate home ownership among different groups of household income. However, the policies which only benefit the low-income household group have neglected the needs for affordable housing for middle income group. PR1MA housing policy is one of the methods of policies aimed at ensuring that all eligible Malaysians are given chance towards home ownership. Therefore, this study is to investigate the rate of affordability among young home owner of PR1MA in Federal Territory of Putrajaya using the survey method; pilot survey, a preliminary survey to gather information in smaller scale and personal interview survey to explore the responses of the respondents to gather deeper information towards understanding factors influencing rate of affordability. The findings establish that the main housing issue faced by the middle-income groups are housing price and household expenditure. Hence, it is recommended to address these issues in designing an affordable scheme for the middle-income groups based on the findings of the study. In the recent years, rapid economic development has leads to population growth and this has resulted in the increasing demand for residential housing at urban city in Malaysia. The increasing of housing prices has become the dilemma of the young starters which falls under middle income group to buy their first house. Most of the young starters are having difficulties to secure a mortgage from the final institution. Despite many assistance from the government to assist the young starters to own their dream house, the affordable issue still haunting the target group for realizing their dreams. The main purpose of this paper is to study the rate of affordability among eligible young starters for PR1MA program. The Government of Malaysia aware that housing is a basic need for every citizen and is an important element in contributing for the urban economy. PR1MA housing policy is one of the methods of policies aimed at ensuring that all eligible Malaysians are given chance towards home ownership. According to general PR1MA guidelines, those eligible to apply for PR1MA homes are Malaysians owning not more than one home and having a gross household income of not more than RM7, 500 per month. The PR1MA apartments in Putrajaya were certainly popular with over 7,000 applications received for 560 apartments (PR1MA’s website, 2017). As a result, PR1MA housing in Putrajaya was chosen as our pilot study and this study aims to investigate the rate of affordability among the young starter who are eligible for the PR1MA housing program. To identify the average household income expenditure among young starter who are eligible to apply PR1MA houses. Affordability means differently to renters and owners. Although every group in the housing market is affected by the mortgage rates, owners are affected much more as compare to the renters (CVRD’s Regional Growth Strategy, 2016). Several studies or research have been done to understand what does affordable housing mean in this context. The definition of affordable housing is the subject of different analyses and debates among experts (Baqutaya, 2016). Upon the debates, definition of affordable housing is a housing that is considered affordable if the debt service ratio is 30% of the income expenditure (Zairul, 2017). Families that pay more, especially lower and medium income families, are considered cost burdened because they may have difficulty paying for non-housing needs such as food, clothing, transportation, childcare, and medical care (Gary Pivo, 2013). Rate of affordability was measured by house price to income ratio according to “Median Multiple” methodology (Cagamas, 2013). The definition of “affordability” is essential before further analyzing the root cause of housing affordability. Issues relating to affordable housing has becomes a dilemmas among low and middle income group. The root cause of affordability among the group was due to the increase of non-housing expenditure by 4.7% based on the Consumer Price Index (Cagamas, 2013). Affordability is mainly defined by the relationship between household expenditure and income. Many authors (Yates and Gabriel, 2006; Carney and Boyle, 2004) argues that housing affordability is affected by the distribution of house prices, household incomes and the structure of financing costs. Based on the growth of current housing scenario in Malaysia, the issue has been underpinned by the interface of three forces; growing population, high rates of urbanization and growing economy. The imbalance between demand and supply, particularly in the affordable housing segment, has contributed to a high increase in housing prices. This has compounded housing affordability issues, particularly for the low and middle income population (Economic Developments, 2015). Malaysian government has introduced several affordable housing policies to facilitate home ownership among different groups of household income. However, little is done to attend the needs of the middle income group. Despite economic growth, 60% of the middle income group is young starters and majority of their income level falls under lower middle category (Dr. Azriyati, Dr. Rosly and Dr Kuppusamy, 2013). The increasing in housing prices, household expenditure and the lacking of more affordable housing policies for the middle group declining the rate of affordability for home ownership. Income limit for individual loans from RM 3,000 to RM5,000 per month or joint household incomes for up to RM10,000 per month. Table 1 shows the available schemes for middle income group in Malaysia. Most of the middle income group consists of young starters who could not afford to buy their first house and at the same time, they are not eligible for low cost housing. This study will focus on the PR1MA housing policy which is aimed at ensuring the middle income group are given chance towards home ownership. In conclusion, affordability expresses the challenge each household faces in balancing the household income and household expenditure. Affordable housing schemes launched by the government was to promote affordability in all levels of income group. Towards realizing of home ownership, little has been done to cater the needs of housing for the middle income group. Even though the middle income group are eligible for purchasing affordable house from the affordable housing scheme, but their affordability does not depends only on the eligibility but also influenced by the household expenditure. It is important for the government to revise the term ‘affordability’ to ensure the affordable housing scheme is able to balance with the income level of the group. The study was conducted by three methods: 1) desk review; 2) process analysis; 3) in-depth interview. This paper started by first understanding the definition of “affordability” through the method of desk review by searching relevant information on the meaning of affordability in local context. The definition of affordable housing is the subject of different analyses and debates among experts (Baqutaya, 2016). The source of reading materials was also searched through desk review. Types of affordable housing scheme available, the eligibility of the policies related, and the current issue of housing affordability was focused in this method. The second method was process analysis which involves the collection of data through questionnaire survey and in-depth interview. The questionnaire survey were done among the young home owners of PR1MA in Putrajaya to determine age, occupation, and income bracket. In-depth interview was carried out to further study and is essential to review on factors influencing housing affordability among young starters. Thus, the questions were more detail and specified on the household expenses and in-depth understanding about affordability. The category household size of the young starter. The survey with young starters involved two sessions, starting with a pilot study conducted among the young home owners of PR1MA house in Putrajaya. The next session involved an in-depth interview with the young starters to study the factors that would influence the rate of affordability. The pilot study was conducted to determine age, occupation, and income bracket. Criteria for the selection of the respondents included the following: 1) young professionals age between 21 to 35 years old; household income or combined income not exceeding RM7500 monthly; 3) home owner of PR1MA house in Putrajaya. Total number of young starter respondents from the current PR1MA home owners according to income category surveyed is as shown in Table 1. From the survey conducted, 60% of the respondents with household income range from RM2500 to RM4000, 20% range from RM4001 to RM6000, 10% with income ranging RM6001 to RM7000 and 10% from RM7000 to RM7500. The second session with the young starters involves an in-depth interview. During the interview session, the emphasis was on the factors influencing the rate of affordability. The category of household size of the young starter determines the percentage of household expenses from household income monthly. The interview feedback was used to study 1) the price of PR1MA house bought, 2) types of household expenses involved monthly, 3) alternative used by the young home owners to lessen mortgage burden. Table 3 shows the household size of the current young starter of PR1MA home owners. 50% of the young respondents are single, 20% of them are married without having children and 20% are with married status and blessed with one children. Only 10% of the respondents with higher household size with two or more children in a family. According to a study from Azriyati (2013), middle income households can be categorized into three sub-categories; Low-Middle Income, Middle-Middle Income and Upper-Middle Income. Table 4 shows the sub-categorization of middle income group. The income category for lower-middle group is RM2001 to RM4000; middle-middle group is RM4001 to RM6000; and upper-middle is RM6001 to RM8000. In relation to table 1, 60% of the respondents falls under lower-middle income category; 20% falls under middle-middle income category; and the remaining 20% falls under upper-middle income category. It can be concluded that majority of the young starter’s income category falls under lower-middle income category which is near to the bottom line of low income group. From the table above, the calculation was based on the Consumer Price Index (CPI), 2013 which has increased by 4.7% (Cagamas,2013). The calculation above illustrates the typical monthly expenses of young starters in Malaysia. Against this scenario, the acceptable range for affordability current middle income home owners is between RM150,000 and RM280,000 (Zairul, 2017). Table 6 shows the price to income category determining the affordable rate. The house price for PR1MA house unit at Putrajaya are based on two prices, RM120,000 for 815 sqft and RM150,000 for 1,006 sqft according to the feedback through interview conducted. Table 6 shows the calculation of affordability rate among young home owners of PR1MA house in Putrajaya based on the data analysis section. It was learned that 60% of the young home owners’ income range falls under lower-middle income category. From table 7, both case shows negative disposable income of the PR1MA young home owners which is -RM1,174 and -RM1,218. In relation to data obtained and showed in table 3, the household size of the respondents contributes to household expenditure base on the feedback from the interview. As the rule of thumb, the housing is considered affordable if the debt service ratio is 30% of the income expenditure (Zairul,2017). Figure 1 shows data analysis derived from the relationship between income category (table 1) and affordability rate calculation (table 7). Based on the results obtained, 60% of the middle-income group falls under lower-middle income category and the rate of affordability was calculated based on the income range of this category which is between RM2500 to RM4000. The results show the non-affordability for this income category. 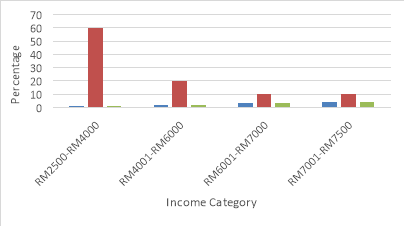 Figure 1 demonstrates the PR1MA young home owners under income range from RM2500 to RM4000 shows the highest percentage of non-affordability whereas the income category from RM6001 to RM7500 shows the least percentage. Figure 2 demonstrates different alternatives taken by the young owners of PR1MA despite the non-affordability burden. Freelance is the most common way to increase household income and shows the highest percentage which is 70%. 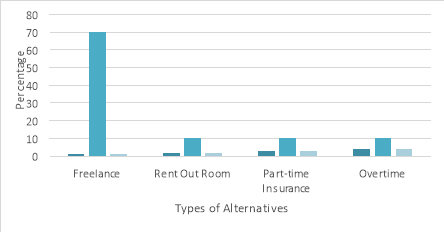 Other alternative such as renting out room, part-time insurance agent, and overtime stands 10% respectively. "PR1MA Group Housing Affordability." UKEssays.com. 11 2018. All Answers Ltd. 04 2019 <https://www.ukessays.com/essays/housing/pr1ma-housing-affordability-5211.php?vref=1>. "PR1MA Group Housing Affordability." All Answers Ltd. ukessays.com, November 2018. Web. 23 April 2019. <https://www.ukessays.com/essays/housing/pr1ma-housing-affordability-5211.php?vref=1>. UKEssays. November 2018. PR1MA Group Housing Affordability. [online]. Available from: https://www.ukessays.com/essays/housing/pr1ma-housing-affordability-5211.php?vref=1 [Accessed 23 April 2019]. UKEssays. PR1MA Group Housing Affordability [Internet]. November 2018. [Accessed 23 April 2019]; Available from: https://www.ukessays.com/essays/housing/pr1ma-housing-affordability-5211.php?vref=1.